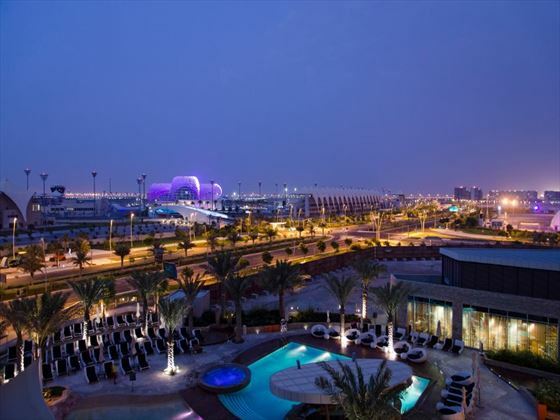 Modern, lavish and sophisticated, Abu Dhabi is quieter than Dubai but offers the same levels of incredible luxury with better beaches and a more diverse cultural heritage. 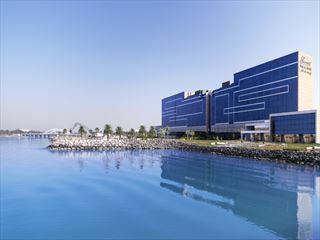 Not long ago Abu Dhabi was merely a series of fishing villages – how things have changed. 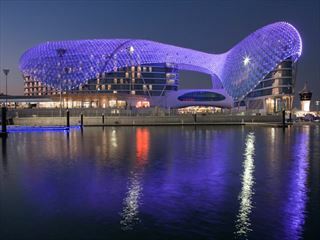 Today Abu Dhabi boasts one of the Middle East’s most modern and glamorous cities. 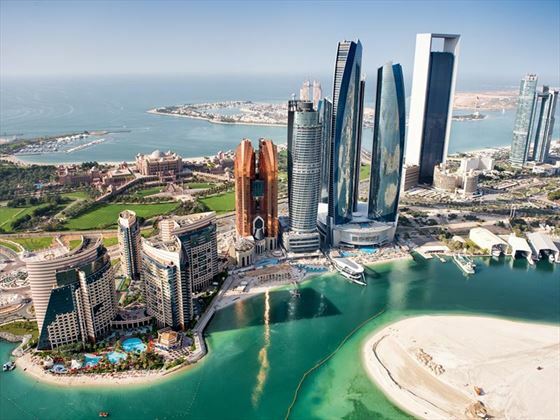 Following in the footsteps of its ostentatious neighbor Dubai, Abu Dhabi has pumped a lot of money into developing a spectacular, captivating vacation location. You’ll find a fascinating blend of old and new here. 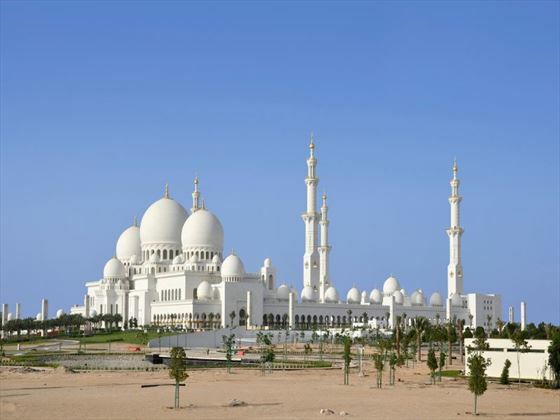 Abu Dhabi is the largest of the United Arab Emirates. 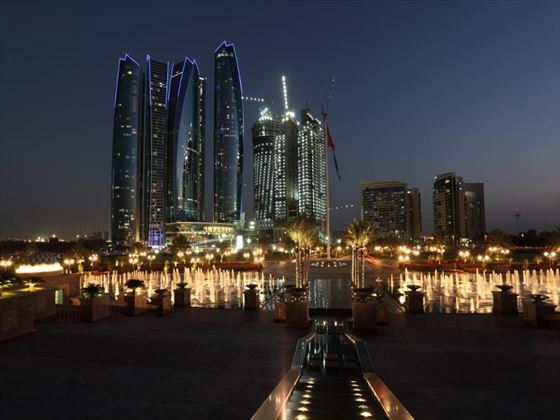 Its confusingly-named largest city, Abu Dhabi, is the capital of the UAE even though it’s often overshadowed by its glitzy little brother Dubai. 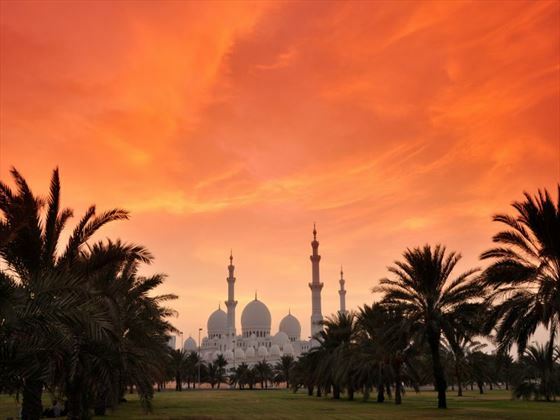 The city of Abu Dhabi is the epicenter of everything in the Emirate and home to amazing hotels, fabulous shopping and sugary beaches. 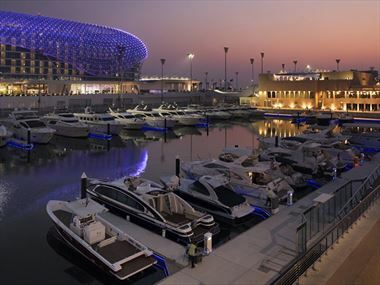 While it’s still a huge and hectic cosmopolitan city, Abu Dhabi has a far more relaxed and friendly feel than Dubai. You’ll still find the plush shopping malls and the huge range of restaurants, but the crush of people isn’t as fearsome and the shortage of taxis not as dire. 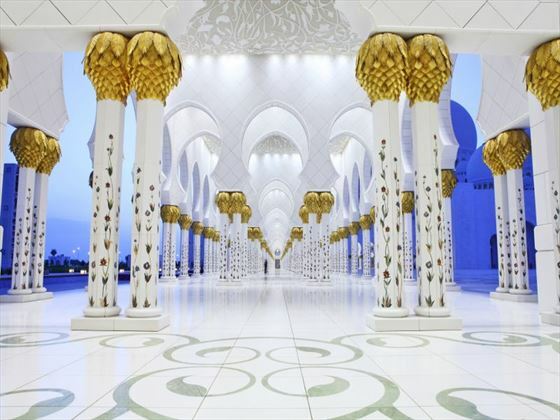 By Middle Eastern standards, Abu Dhabi is a relatively liberal country (although not compared to the western world). The people are very friendly, respectful and always ready to help if you get lost or need advice. 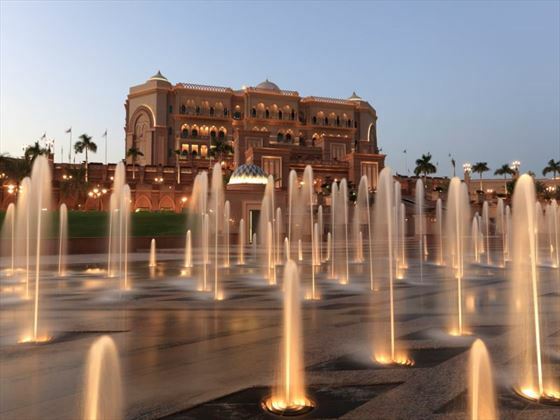 The native Emiratis now make up only a small minority of the whole population with many expatriate workers coming from India, Pakistan, Sri Lanka, the Philippines and east Africa. 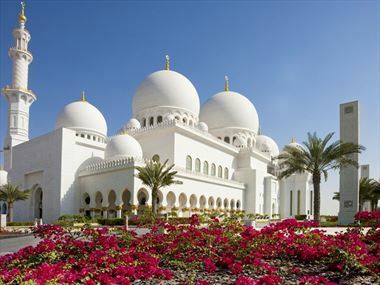 This impressive mixture of cultures has given Abu Dhabi a truly international flavor. 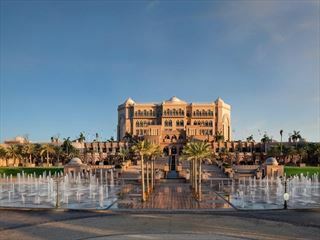 There are a wide variety of things to see and do whilst staying in Abu Dhabi. Check out our travel guides for some of the highlights, top tips and travel inspiration from our Tropical Sky Experts, along with some essential information you may need for your vacation. 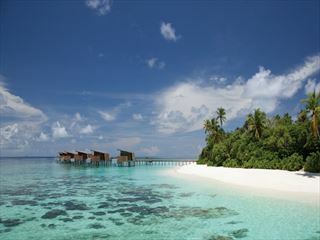 With so many things to do and places to stay, Abu Dhabi makes one of the sought after places in the Middle East. 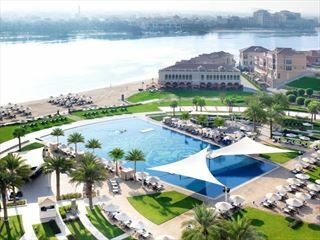 Combine a rich culture with incredible beaches and add in a splash of gatronomic delights and there you have it, your holiday to Abu Dhabi. 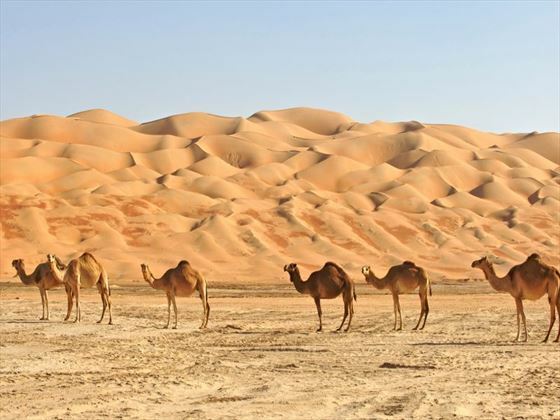 Lay back on the beaches, witness a compelling camel race, visit a mosque, enjoy a 5* shopping experience, take a dinner cruise or even set up camp in the desert, there is more to Abu Dhabi than you may first have thought.